This week, the mystery of the disappearance of the USS Keystone State, a Civil War-era steamer that went missing more than 150 years ago on the Great Lakes, was solved. The ship went missing on November 9, 1861, while transporting goods recorded as "iron implements" or farming equipment from Detroit to Milwaukee. The disappearance came just months after the the Civil War began in April of 1861. Veteran shipwreck hunter David Trotter, 72, tells Here & Now's Jeremy Hobson that the ship may have actually contained military equipment for a special militia that was building up in Wisconsin. 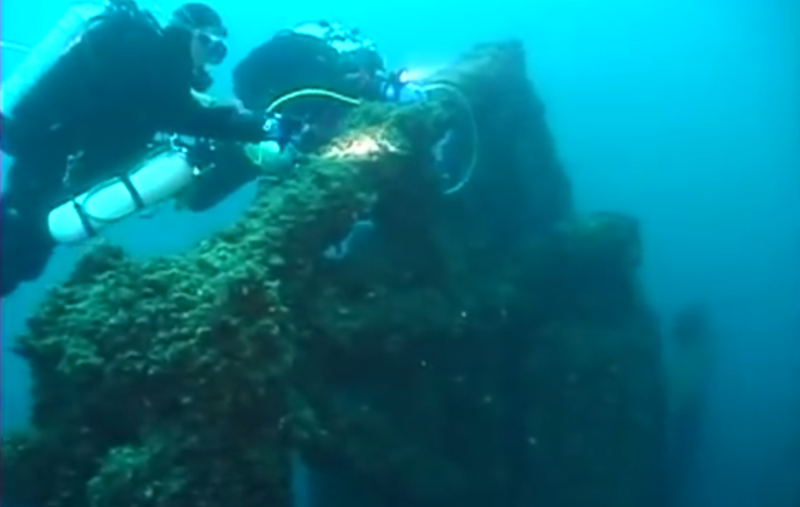 Trotter’s Undersea Research Associates team discovered the wreck in July, less than 200 feet deep in the waters of Lake Huron, and 50 miles from where it was reportedly last seen. Trotter talks about what he discovered about the ship. David Trotter, shipwreck hunter and founder of Undersea Research Associates.